In the world of mine warfare that may involve a narrow but valuable strait that is part of major sea lane vital to economies around the world, it's a great idea to get many interested parties together and practice counter-mine warfare and - well, golly, could you pick a better spot to hold an exercise of this type at this time than in the Arabian Gulf? In September, the U.S. Fifth Fleet will host its first International Mine Countermeasures Exercise (IMCMEX). 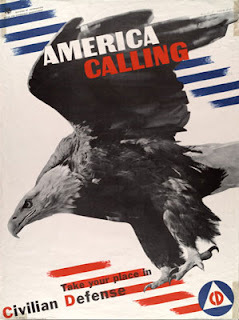 With more than 20 nations participating from Asia-Pacific, Europe, the Middle East and North America, IMCMEX 2012 will be the largest of its kind ever in this region. Operating together in a series of at-sea maneuvers, international air, sea, and undersea forces will respond to simulated sea-mine attacks in international waters and clear maritime routes to restore freedom of navigation. The cooperation of navies from around the world promises high tactical value for the ships, aircraft, and divers involved; while demonstrating international resolve in defending maritime security against potential threats. IMCMEX 12 focuses on interoperability among navies and also among the triad of air, ship and undersea platforms that deliver full-spectrum mine countermeasures capability. The inherent flexibility of naval forces allows IMCMEX to demonstrate capability in additional areas also, including logistics, rendering assistance to mariners and coordination with commercial shipping. 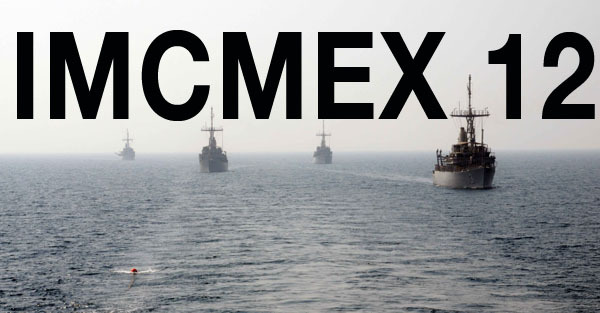 Conducted in two phases, IMCMEX begins with a symposium ashore in Bahrain followed by maneuvers at sea in key locations in the Arabian Gulf, Gulf of Oman and Gulf of Aden. The at-sea maneuvers will involve a number of mine-countermeasure techniques for defending key maritime areas around the world, including strategic chokepoints. Forces from various nations will include minesweeping and minehunting ships, helicopters, and undersea vehicles; command and support ships equipped to serve as afloat bases for MCM forces; and naval dive platoons for mine detection and disposal. IMCMEX 12 is a defensive exercise aimed at preserving freedom of navigation in international waterways in the region. The international community has a critical shared interest in the free flow of commerce via strategic waterways. Note the use of "Arabian Gulf" in the release. It just irritates the heck out of some of the leaders of a nearby nation which borders the Strait of Hormuz. In addition to its short, mid, and long missiles, Tehran has a range of other weapons it can use to close down the vital oil artery. These include the hard-to-detect "rocket mine" that's triggered by the distinctive magnetic our acoustic signature of a ship, such as a US aircraft carrier, and then launches a propelled 600-popund warhead at the target. Then there's the Russian MDM6, equally difficult to detect, that can tackle multiple targets. It lies on the seabed that fires a torpedo-like warhead when it senses a vessel. Both these mines can be laid by Iran's Kilo-class submarines. Iran isn't planning to fight a conventional war with the US and its allies. Rather it plans to employ what's known as asymmetric warfare, in which the weaker forces uses unconventional means to overcome the power of a strong opponent. Asymmetric warfare is specially appropriate for the Persian Gulf and the Strait of Hormuz which are too narrow for the huge US warships to maneuver. That means mines, anti-ship missiles and swarm attacks by small heavily armed boats. By some accounts, Iran is believed to have as many as 3,000 sea mines. Some estimates go as high as 5,000, but no one knows the exact number as Iran never discloses all its capabilities and arsenals. Whatever, it's the fourth largest sea mine arsenal in the world after the United States, Russia and China. The EM-52 is probably the most dangerous mine Iran has. But the bottom-influence EM-11 and the EM-31 moored mine can also play havoc with surface craft. So the United States and its allied naval forces face a formidable foe. "Iran's ability to lay a large number of mines in a short period of time remains a critical aspect of the stated capability to deny US forces access to the Persian Gulf and impede or halt shipping through the strait," cautioned US analyst Anthony Cordesman in a March analysis by the Center for Strategic and International Studies in Washington. 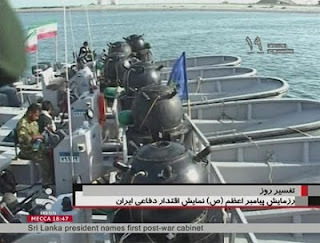 Iran has hundreds of anti-ship missiles, including 300 C-201 Seersucker weapons and 200 C-801 indigenous Noor systems, deployed along its long Persian Gulf coastline, as well as air-launched weapons and cruise missiles. I'm sure our LCS with the minesweeping module will take promptly take care of any such Iranian mines. 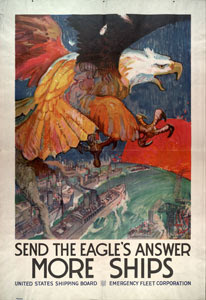 Somali Pirates: Dhow Nabbing for "Mother Ships"
Happy First 100 Years, Eagle Scouts!